This is nice foyer furniture for storage. It consists of a tall and narrow wooden bench with base on which a short black drawer’s cabinet is placed. 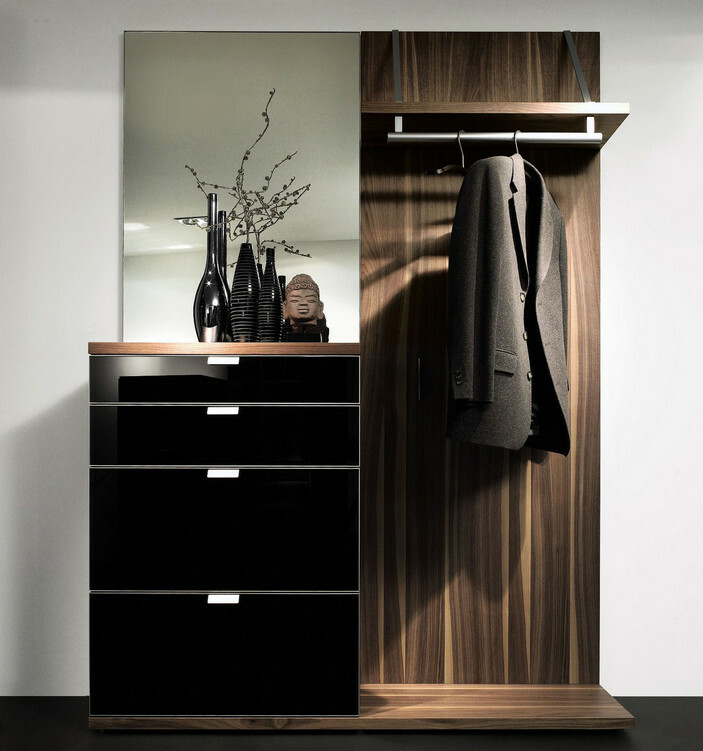 A tall mirror is used to extend the height of the short cabinet, making the set up completely elegant and unique. The tall wooden part consists of a simple closet.